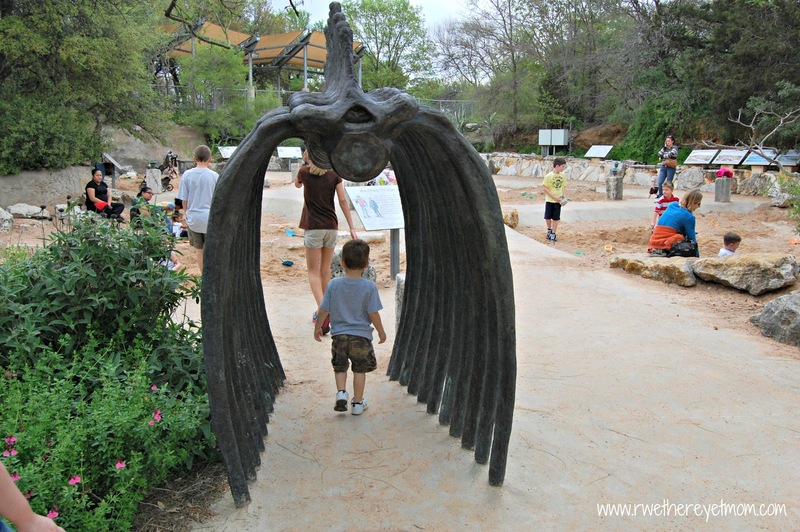 Dino Pit (Austin Nature & Science Center) ~ Austin, Texas - R We There Yet Mom? Deep in the heart of Zilker Park lies a fun little area where your kiddos can be paleontologists for the day. And you can sit back and get the accolades for taking them to such a cool place…..what? Your kids don’t thank you for finding these cool spots either??? Regardless of the “thanking”, you must take your kids to the Dino Pit at the Austin Nature & Science Center. 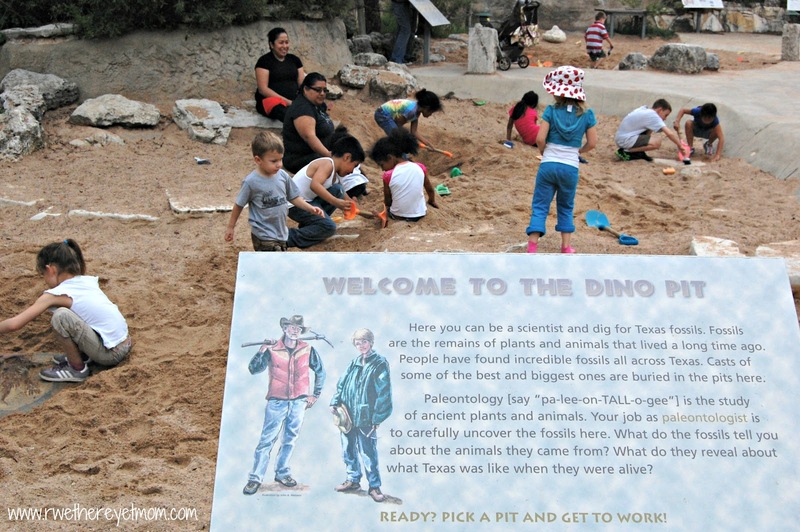 Texas fossils are buried deep within the pit, just waiting to be unearthed. You may bring some “official” tools, or just use the various plastic shovels, rakes, and brushes to discover the fun hidden under the sand. 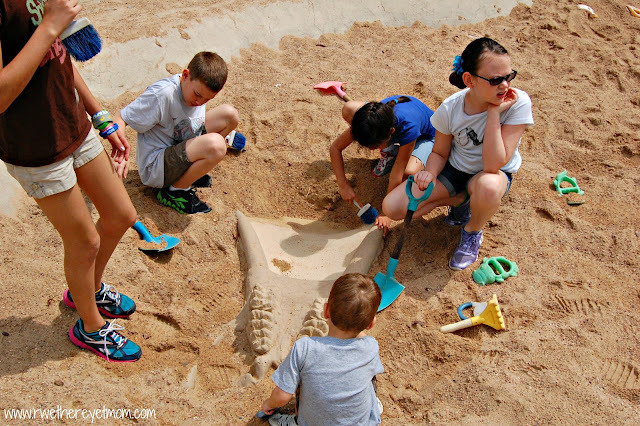 It is a bit sunny, so make sure to bring plenty of sunscreen and water to fortify your hard-working paleontologists. Your kids are going to have a blast – jump in there with them or sit back on the sidelines and take a breather – you deserve it! We visited over Spring Break where a few day camps were visiting, but I image if you come right in the morning, while it is cooler, you may not see much of a crowd. 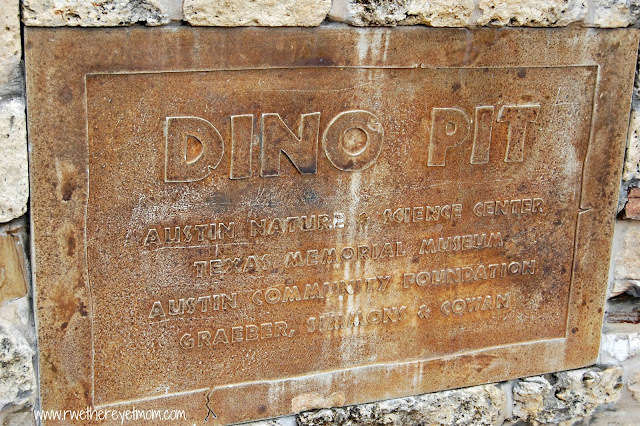 The Dino Pit, as well as the rest of the Austin Nature & Science Center, is completely free and a great place to combine with a picnic at the Zilker Park and a dip in the Barton Springs Pool. Click here to read our review of the Austin Nature & Science Center. Now THAT is just too neato!! 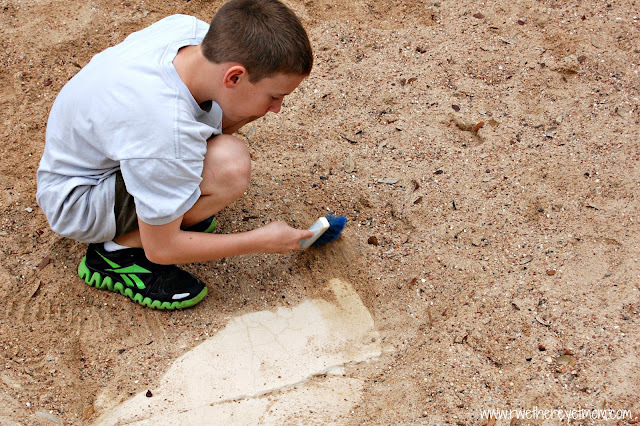 What kid doesn’t dig in the dirt to find bones? Or to dig to China!? That was my goal. My kids would LOVE a place like that! I just don’t think we have anythiong cool like that here. It’s either a theme park or a beach, fun for tourists I guess but not for us locals. Again, your pics are so pretty and clear! They have a dino dig exhibit at the Fort Worth kids museum. It sounds very similar. 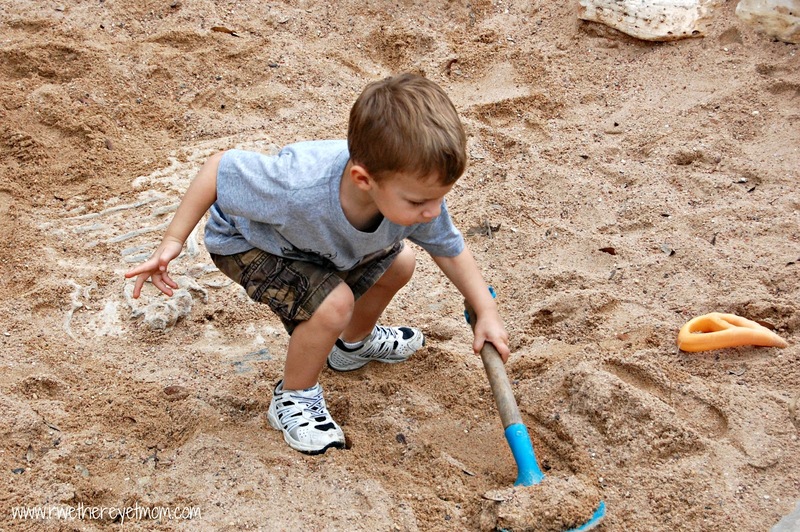 I love any kind of hands on activity. It’s so good for the littles! It’s sad we don’t have that in our area. This is cool and the kids would love it. 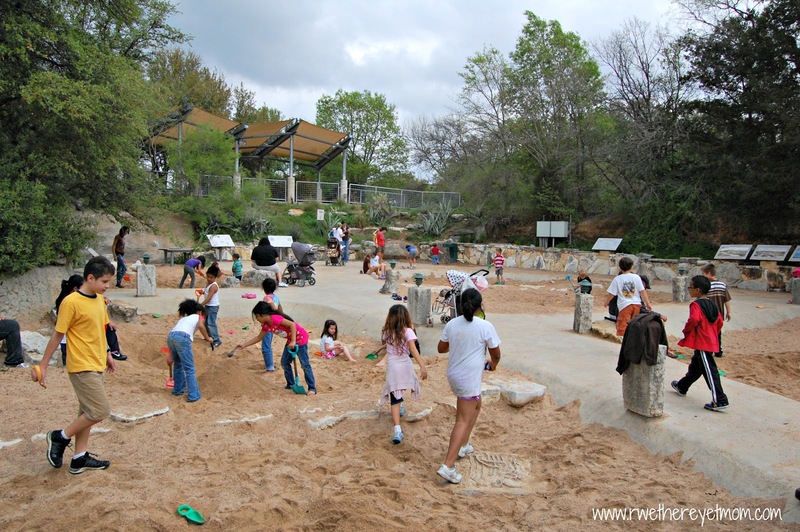 Oh my gosh I think my kids could spend hours playing in that giant “sand box” how fun! Love it! If I ever move to Texas or visit Texas all I will have to do is come to your site and will know every good thing to do. Are you still doing other cities and places or mostly just Texas? We went to a new place today in CA- the Legoland Aquarium, so if you want I could write up a post for you.